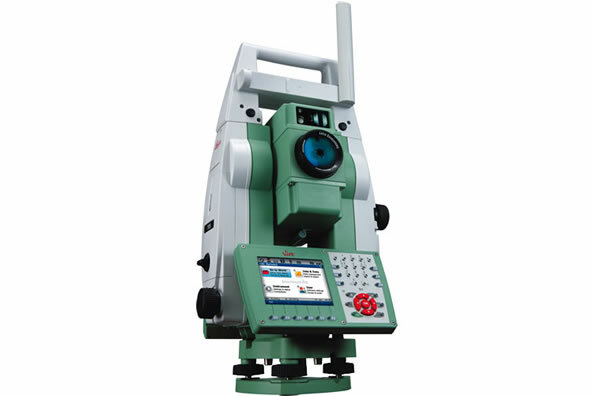 The Leica TS15 is the most advanced and user-friendly total station on the market currently, covering the range of engineering, cadastral, residential and commercial surveying. By using the Leica TS15 robotic total stations with Leica SmartWorx Viva software built in, the Land Surveyors Perth team are using the most accurate instruments on the market incorporating simple, easy to use software. A standard work procedure for surveyors would be to complete calculations on the computer prior to going out to the worksite. Once at the worksite, the setting out plans and calculations can be easily transferred onto the hand held robotic controller via USB cable or thumb drive connection. Easily navigated menus then allow the surveyor to view the data and prepare for the survey or set out quickly. Export of completed survey data is handled in the same simple way as the import of data, adding to a very time effective method prior to finishing survey calculations. The robotic capabilities of the Leica TS15 Total Station provide full control for the individual surveyor while completing the survey. The days of having a possibly unreliable chain-man are gone due to the TS15’s robotic capability. The surveyor carries a controller handset which is radio connected to the total station. The controller allows full access to the total station menus and ultimately drastically speeds up all survey and set out jobs. The Leica Total Station range all have the Power Search feature which is a feature unique to Leica. This Power Search feature allows the surveyor to easily lock the total station onto the prism he is using while working robotically. The total station rotates while sending out a vertical laser fan. Once this laser fan detects the prism in use, the total station stops rotating and accurately locks onto the prism so that work can continue with little delay. Land Surveyors Perth continually invest in the latest Leica equipment so all jobs no matter how big or small are completed in a time and cost effective manner for the client.